Silver RavenWolf — Successful Healing Circle! Oil Empowerment Ceremony on the afternoon of 24 July 2014. Magick — from early morning to late evening — beginning with a sunrise ceremony, then a blessing and empowerment ritual in the afternoon (see pic), and ending with a very successful Healing Circle. Graced with a full house of merry Witches, we zapped the night away! Thanks to all from afar who joined their energy with ours. You were felt and we sent many blessings to you. May the form of the word be done, in accordance with your wish and your will. Embrace the power of the Healing Dragon! 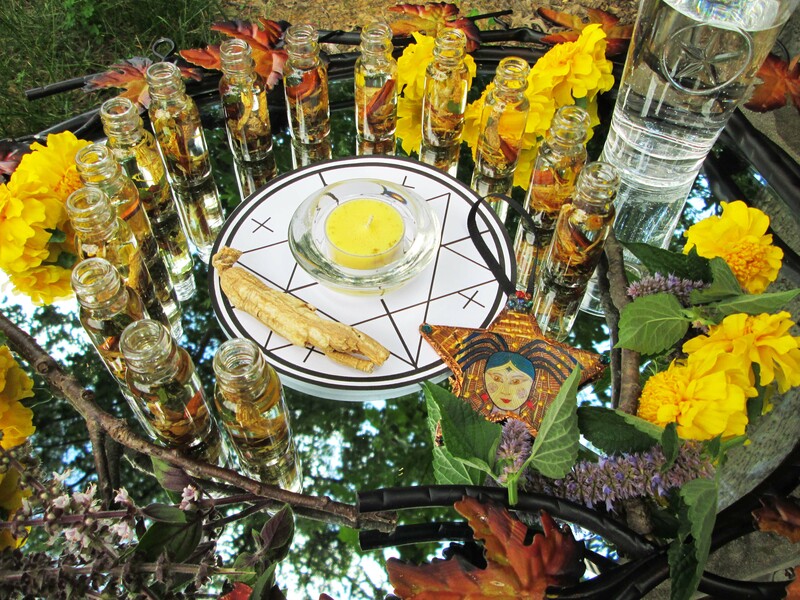 Rules Are Simple: Post the initials, city, state (or country) of the individual in need of help along with a brief line of what is needed under the comments section of this blog entry OR use #healingmagick on Twitter. Issues can be healing, financial needs, the desire for a new job — all requests are welcome as long as they are positive in nature. Our circle will work here, and we hope that all our internet friends will work too! Please remember that all posts are public — therefore, initials and brevity are best. To Work For Someone: Let us know you are praying (working) by simply hitting the LIKE button here on the blog or on Silver’s Author Facebook Page, or under the notification post on her friend’s page. That’s all there is to it! Don’t worry if your comments don’t show up right away. They are just in “holding” until I can write them all down to put in the circle. Have you seen Silver’s new newsletter? Check it out! Silver’s New Newsletter available in her Etsy Shop.